Eddie Glayzer is a Master’s degree graduate and Doctoral Candidate at Michigan State University in Anthropology specializing in the intersections between gender and economics. He currently lives in Seoul, South Korea where he is researching the commodification of intimacy. His study uses the economic exchanges that take place during dating and marriage rituals as a lens through which to view larger issues of gender inequality in South Korea. His research broadly assesses how rapid capitalistic economic development impacts gender inequality in fast developing Asian economies. 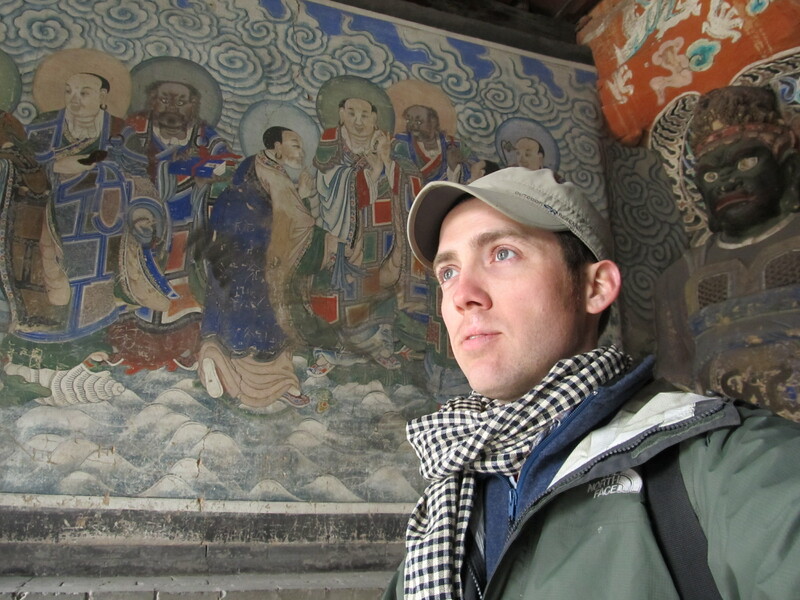 Glayzer will be a FLAS (Foreign Language and Language Studies) fellow with the Asian Studies Center for the 2017-2018 academic year for dissertation writing. Glayzer seeks to finish his PhD in Cultural Anthropology by 2018, then continue his research and teach at a university in the United States. He is recently engaged and will eventually be moving to Chicago with his fiancé who is pursuing her own doctorate in Nursing. They plan to get married in the summer of 2018.